Previously, i have teach you how to backup the MySQL database. 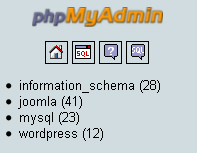 Now, i will brief you the simple steps on how to restore MySQL database using phpmyadmin. This steps only applicable for the database that was installed with phpmyadmin such as LAMP server, Wamp server and XAMPP server. Most of the students or for the development peoples has using this phpmyadmin to administer their database because it’s easy to use and it help us to reduce the common mistakes. Please follow this step to restore the MySQL database. 2. Select Import Menu and select file to import. 3. In the previous guideline, we have teach you how to backup the “wordpress_db.sql” mysql database. We will use the same database to restore. 4. Make sure the .sql file has been selected and click go to proceed. Import has been successfully finished, 35 queries executed. 6. Please note the above steps are to restore the MySQL only. To migrate the whole blog, make sure you has copy the whole content in “C:\wamp\www\ “. If the folder name was “blog”, make sure you have copy the “C:\wamp\www\blog“. WAMP SERVER(WampServer) is a great package for PHP developers or maybe students or maybe the newbie system administrators or webmasters. 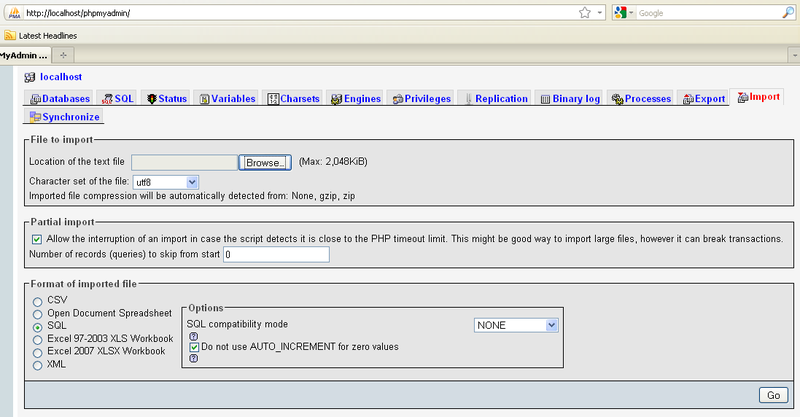 Generally, Wamp Server consist of Apache, MySQL and PHP. In this tutorial, i will guide you how to install the fresh wamp server. 3. Please take note on this warning. 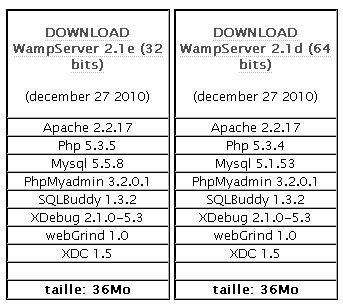 WARNING : do not try to install WampServer 2 over WAMP5. 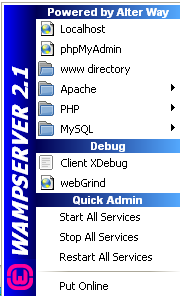 delete the WAMP5 directory before installing WampServer 2. 5. During the installation, it will prompt you to unblock the http server from windows firewall or not. Simply click unblock to allow the Apache running on your local pc. 6. 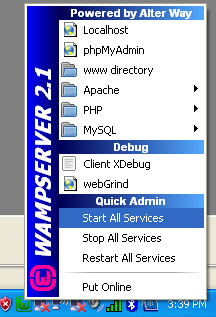 To start the wamp server, click “Start All Services”.